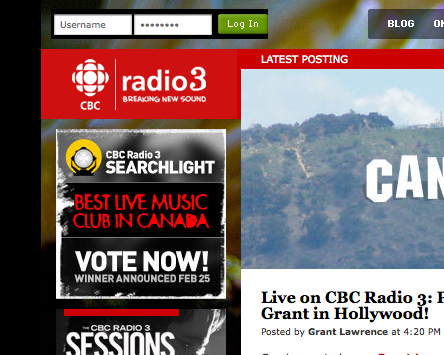 ← CBC Radio 3: Searchlight – Best Live Music Club In Canada!!!!!!! 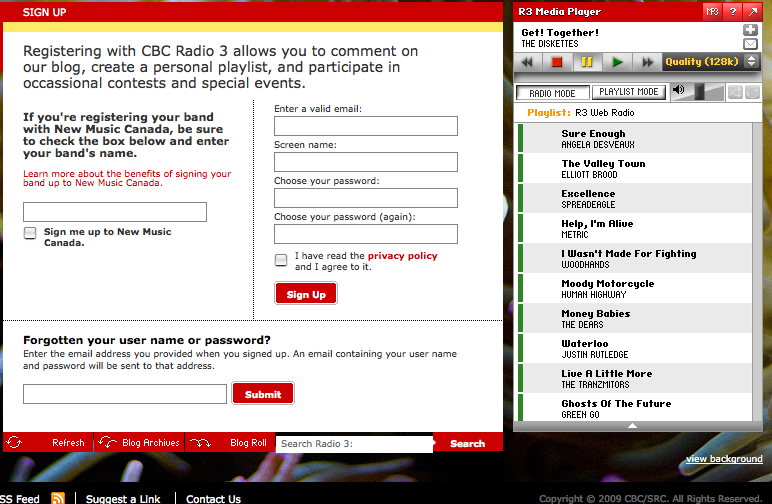 If you don’t have an account for cbcradio3.com, you’re silly. You should. You have access to live web radio, 24 hours a day, listening to people who are passionate about Canadian music and want to share that info BADLY with the rest of the country. Mostly indie stuff. If you are a local band and your music is not registered with Radio 3…you really should be, as you cannot imagine what an amazing resource they are…get listed on there first if you are a musician and not on their database. You will see this at the bottom of the screen. 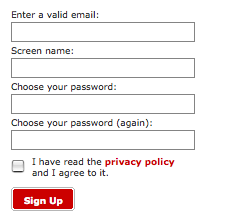 Then sign up with a valid e-mail address and pick a screen name you’ll remember…and a password. Click “Sign Up”. Type in your username and password you just created, and hit the green button “Log In”. Now you’re logged in. You just need to hit the giant ad under the “Log In” area and it will take you to the voting page. 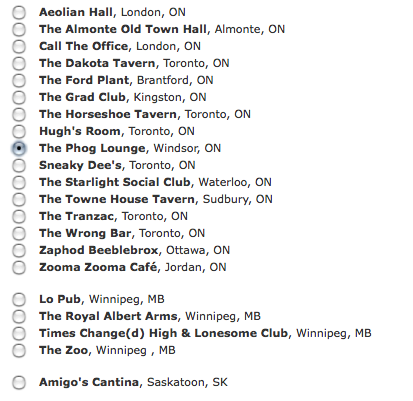 Then you’ve helped Phog Lounge become the venue we all know it is, except this way, the rest of the country knows. After you’ve done this process, you just need to click one of the many links Phog and Phoggers are posting on Twitter (we are twitter.com/phogtom on twitter.com – if you don’t follow us, get with it!) and Facebook, which will take you to voting page. Unless you log out…you will stay logged in, and it’s a SUPER SIMPLE process then. Thanks everyone. Spread the Phog love. Relax Tom.You boys are gonna win.